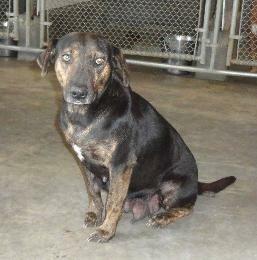 4 yr old catahoula mix, female, UTD on all vaccines and spayed. This shy girl was dropped off in the shelter with nine puppies. All her puppies were rescued and she was left behind. In the beginning Noel was withdrawn and afraid but she has responded beautiful and has come out of her shell. She is a sweet, very laid back lady who would make a perfect "couch mate". She's not high energy, walks easy and slow on the leash, and is not a demanding girl. Easy play time is rolling in her blanket. Sleep time is snuggling with her foster family. Tolerates other dogs and plays lightly but when done, prefers to let them know in a nice way. No food aggression. Good with older children, but too laid back for young children. 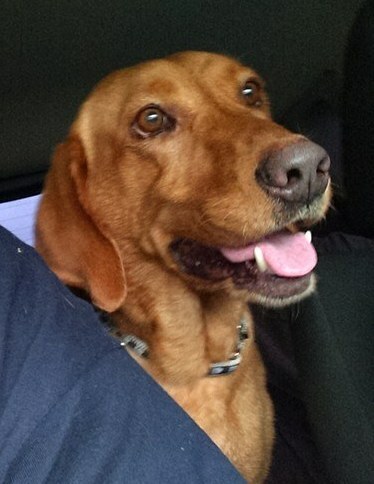 Meet Heidi...4 YR OLD RETRIEVER MIX, UTD on all vaccines and spayed. Wonderful disposition. She has settled into her foster home and we have learned Heidi doesn't want to go outside alone. She is always so happy to see you even if all you did was go to the bathroom. She doesn't jump. So getting into the car or your lap is a hassle for her as she has to climb up. Loves to retrieve, play with toys, play tug of war (gently), walks nicely on the leash, and is NOT food/toy aggressive. Gets along with other dogs both big and small. She is fine around kids. Mostly mellow except for when she wants to play. Car rides still make her very nervous but she is doing better. Loves attention and has a super soft coat that just begs to be touched. When on a leash she wants to chase cats but without a leash she mostly ignores them but still very interested in them so not sure cats in the household would not be a problem. Very food motivated and is learning quickly how to act and behave. She is a great dog with a playful side and would be a wonderful addition in most homes.